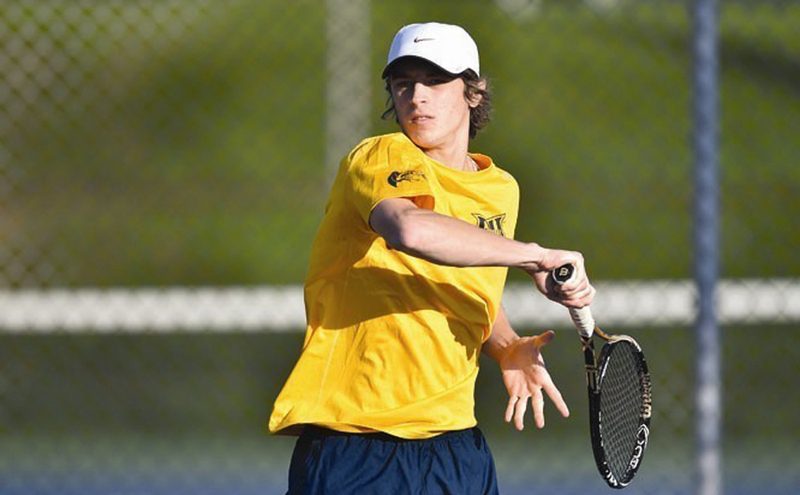 Drexel University’s tennis got off to a roaring start this season with a complete sweep of wins Oct. 17, outscoring their opponents 20 to 1. The men’s team got off to a quick start versus La Salle University with Xabier Saavedra winning in straight sets 6-4, 6-4. Sinan Orhon, Balaji Lakshmanan and Daniil Ginzburg all proceeded to win their matches in straight sets, thereby guaranteeing Drexel their first win of the season. Kashyap Ashok and Vuk Subotic completed the singles sweep for the Dragons with their shutouts in straight sets. In the doubles tournament, Orhon and Ashok won the first game 6-2. Saavedra and Lakshmanan then got the second doubles win with a 6-0 shutout. The final and seventh point of the shutout came when Ginzburg and Subotic won 6-3. Meanwhile, the women’s team played against Monmouth University. It didn’t look so great in the beginning of the match when Erin Bowsher lost in straight sets 7-5, 6-4. However, those were all the points that they would concede as Anisiya Simpson got the Dragons level with a 6-1, 6-4 win. Kendra Bunch then put the team in the lead with her complete shutout win in the third game. The run of straight set wins continued as they would win the remaining three singles games. They went into the doubles games, with the win nearly in hand, trotting out Honami Yazawa and Clary Rodriguez Cruz. The duo would completely blank Monmouth in route to a 6-1 win. Lea Winkler and Kendra Bunch pitched a doubles shutout in the next game, which was followed by another shutout by Erin Bowsher and Anisiya Simpson. With only one point conceded, the women’s team won in the end with 6-1. “Then we increased the level of the competition at Penn to add more matches from our region to our record to help us guarantee at least two spots for the ITA Regionals. We did well overall, and definitely used the competitions to see what needs to get better,” he said. The men’s team had a quick turnaround, facing Rider University in the second game of the doubleheader late that same afternoon. This match-up was really no different from the game with La Salle played earlier that morning. The same starting six in singles play against La Salle went out to the court against Rider and all ended with straight set victories. This was highlighted with Xabier Saavedra’s dominant straight set victory that ended with only one point conceded, 6-0, 6-1. The doubles matches ended in the same way, with Lakshmanan and Saavedra pitching a shutout. Rolling with their cumulative 14-0 shutout, the men’s team grabbed the first two wins of this season to stand at 2-0. However, Coach Mehdi showed slight concern about the fitness of the men’s team. “On the men’s side, we have battled injuries to some top players” Rhazali said. At the same time, he notes that the Dragons are still on track. “[The amount of injuries] hasn’t slowed us down. After the Saint Joseph’s Invitational, we had three good weeks of practices, and we played some good tennis at Princeton against top programs like Princeton, St. John’s and Wisconsin. We also had the two home wins, which helped us get regain the confidence level that we are used to. We are also the underdog at ITAs, and we have nothing to lose. We have more than one player from each team that qualified and that shows that we are improving and that we are on the right track,” Rhazali said. 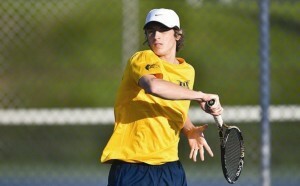 Both teams will play at the ITA Northeast Regionals this upcoming weekend, Oct. 24. The women’s team will head to Dartmouth College and the men’s team going to Yale University.